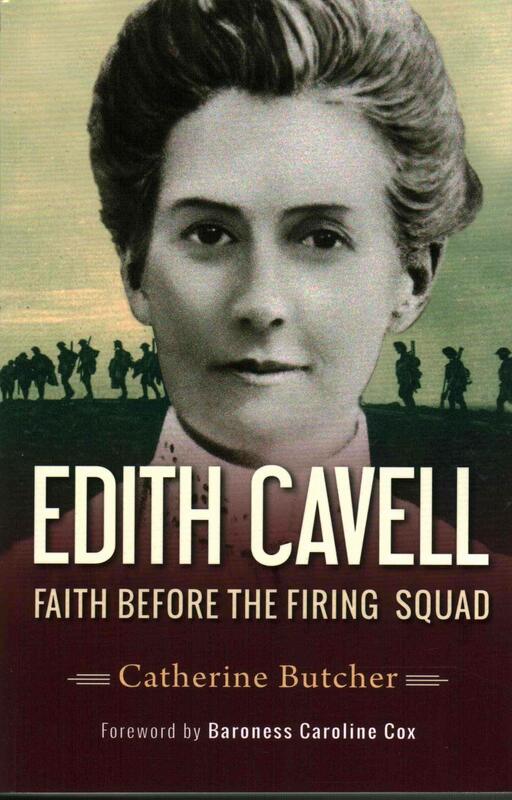 Edith Cavell: Faith before the firing squad, by Catherine Butcher. Edith Cavell was an English nurse who helped establish a nursing school in Brussels, at a time when nursing practice in Belgium had low standards and little community respect. Cavell sought to change all of that by training young women to the same kind of standard she had learned during her own training in London and through her experience as a practising nurse in Britain. In 1907 she accepted the role of matron at the new training school in Brussels. In 1914 Germany invaded Belgium, thereby drawing Britain, allies of Belgium, into the First World War. Cavell chose to stay in Brussels with her trainee nurses and helped to look after wounded troops from both sides. When wounded French, British and Belgian soldiers were in danger of being killed by the German invaders, she started to help the Belgian resistance to get them to safety across the Dutch border. In August 1915 she was arrested and two months later was tried, sentenced to death and shot by firing squad. This book tries to piece together a part of Cavell’s life that has probably been omitted from many other biographies: the way her Christian faith prepared her to face premature death. The author looks at the religious routine Cavell followed throughout her life, first as the daughter of a Church of England vicar, and later as a continuing part of her daily devotions, following the Anglican Book of Common Prayer, and readings from other devotional books known to be used by Cavell. Apart from Cavell’s own story, the book touches on the role of religious practice across general society, particularly within a hospital environment, where it is said that prayer and bible reading were the essential starting point of each day in the wards. Cavell was shot at dawn on the 12th October 1915. Edith died instantly with one shot to her forehead and three through her chest. Déjà Vu: 1914 or 2017? 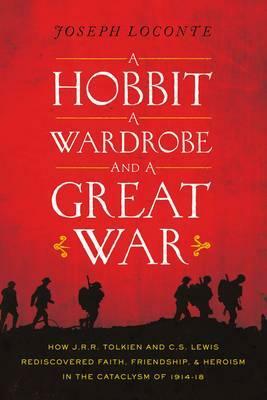 I’m reading A Hobbit, a Wardrobe, and a Great War by Joseph Loconte. It is one of several books I’ve read about WWI and its origins over the past couple of years. Some of what I’m reading about the spiritual conditions leading into (and through) the First World War seem disturbingly familiar. Some of the specifics may have changed, but the general spirit of those conditions is unmistakably in the world again today; disguised to a degree – but with a flimsy mask. The alliance of church and state allowed the secular goals of government to get mixed up with the spiritual goals of Christianity. …For devoted nationalists, their patriotic faith was equivalent to membership in an alternative church. For religious believers, nationalism offered a grandiose political outlet for their faith commitments. The result was the birth of Christian nationalism , the near sanctification of the modern state. Sales of George Orwell’s dystopian drama 1984 have soared after Kellyanne Conway, adviser to the reality-TV-star-turned-president, Donald Trump, used the phrase “alternative facts” in an interview. As of Tuesday, the book was the sixth best-selling book on Amazon. The inevitable outcome in an age of relativism where truth is seen as something subjective. 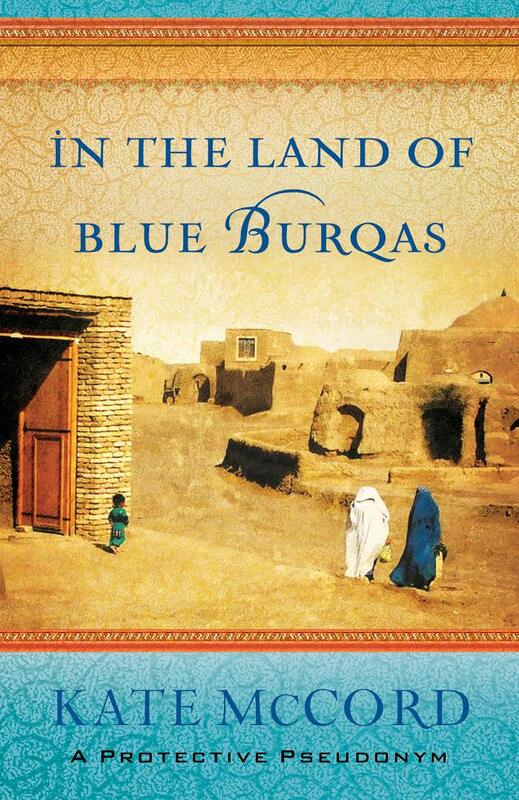 In the Land of the Blue Burqas by Kate McCord gives a fascinating insight into the people of Afghanistan, particularly the women, and how Islam affects their lives and relationships. While Islam and Christianity embrace very different views of God, McCord makes use of a few common areas of belief to build a bridge to share the gospel. McCord writes of how “Afghans almost universally believe in the concept of kismet, fate. Whatever happens happens because Allah wills it, no matter whose hand has accomplished the thing”. One woman in the room responded by sharing another story. … we all looked at the swirling red carpet . Each woman muttered “Tobah” repent. McCord gives the Christian reader a lot of food for thought. “Sometimes I forget to differentiate between what I believe as an American woman and what I believe the Bible teaches. America is my culture, and Jesus is my Saviour and Lord. Sometimes it’s hard to untangle the two. Afghans challenged me to try. McCord compares various aspects of her Christians beliefs with those of her Afghan neighbours to show how the vastly different cultural beliefs affect Afghan views of God and as a result their society. One example she describes is the Afghan view of temptation and sin. I learned that in Afghanistan, the influences that cause or encourage a person to do what the society defines as wrong are the real sin, not the person who actually does the wrong. People are weak and must be protected. The society provides that protection. Any influence that tempts a member of the community must be eradicated, silenced, or walled out. McCord also found that her time in Afghanistan gave her a new perspective on some very familiar parts of scripture. I was often amazed when an Afghan heard a Jesus story for the first time and then told me what it means. Jesus spoke to a woman at a well, a woman who had had several husbands and was not married to her current partner. My Afghan women friends immediately saw the woman’s shame. No woman in Afghanistan can arrange her own marriage. The woman at the well had been used by five men, and the last didn’t even have the decency to marry her. I found the book to be a an effective eye-opener, not only to an unbelievably foreign culture and religion, but also to the unbelievably naïve view that Western Christians have developed concerning the life and teachings of Jesus and how we’ve been taught to view them. After finishing this book, I’ve written an updated version of the article/review that I’d posted here earlier. 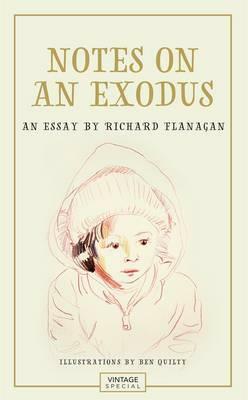 In February 2016, Richard Flanagan was invited to Lebanon, Greece and Serbia by the international aid organisation, World Vision, to witness and report on the refugee crisis. Nalliah in the news again. Update related to my previous post. A Victorian religious group headed by the controversial leader of the Rise Up Australia political party has had its charity status revoked by the Australian government. Catch the Fire Ministries, which is run by pastor and Rise Up Australia leader Daniel Nalliah, lost its charity status amid an investigation into the organisation’s activities and operations, the Australian Charities and Not-for-Profits Commission said in a statement on Tuesday. It’s understood the group lost its status due to its political affiliations with the party. Under the Charities Act 2013, promoting or opposing a political party or candidate for political office disqualifies organisations from having charity status. It’s time that Nalliah and others following the unholy hybrid of politics melded with religion, repented of their nationalist idolatry and turned to the gospel of GOD’s Kingdom. It is also time to be rid of that idol “freedom of speech” that so many believers seem intent on promoting and defending, as if THAT was central to the gospel of Jesus. To the Christian, “freedom of speech” is a political privilege in a few countries that for a time enables the gospel to be preached. It is not a “RIGHT” we are required or entitled to demand of earthly governments. Despite common misunderstanding, God does not promote universal “free speech”.